Just tap on at the start of your journey, and tap off before you leave. Simple. You'll be charged a single journey for each trip, and with our day & 28 day cap in place your fares will be limited no matter how often you travel. 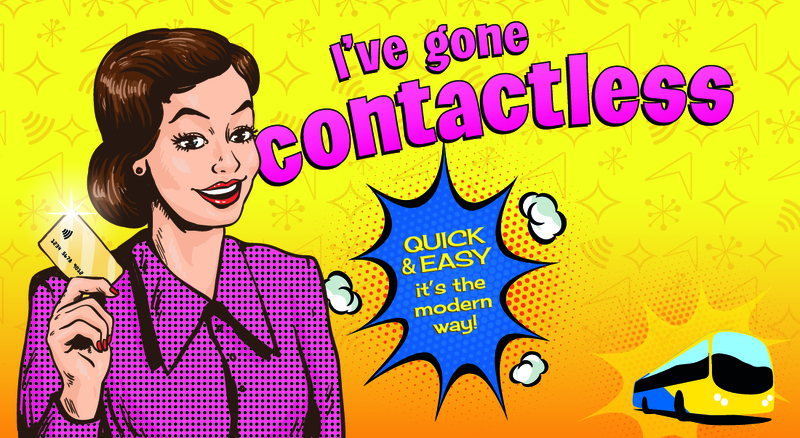 You can also travel contactless with your mobile or smart device. Tap off when you leave. If you travel contactless you can view your 90 day journey history here. You'll need your debit/credit card details to log in. Take your ticket or receipt, then grab a seat. Read our handy FAQs on all things contactless.